Avoid a falling out over the dinner table by following our ground rules for borrowing or lending money to family & friends. Who are you borrowing from or lending to? A quarter of UK adults borrowed money from family and friends in the past year. The average amount leant over the year added up £1,093, according to research by Charter Savings Bank. Just 54% of borrowers said they always paid it back, with women slightly likelier to claim they always repay handouts. 30% of respondents had asked parents for money, 14% had asked partners or spouses, while a further 8% had asked a friend. If you’re considering lending or borrowing from a family member of friend, read on. It’s easy to love even the ficklest of friends when you’re not lending them money – but mixing the two could put paid to the friendship. On the other hand, you might have a friend who needs some cash but who is also open, upfront and reliable. Needing a loan doesn’t automatically make them irresponsible or incapable of repaying. Banks decide to lend or withhold credit depending on a number of criteria, including a person’s financial commitments and their history of borrowing. By contrast, you can base a decision on personality type (eg your friend always repays, even if the sum is 50p) and context, for example if a friend has a poor credit history because of previous mistakes they have since made up for, or because their finances were linked to that of an irresponsible partner or housemate. 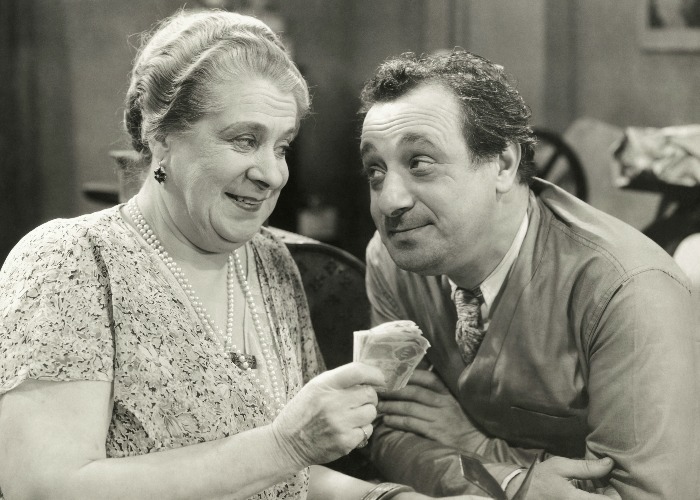 However, if you’re the borrower, are you taking money from someone who is uptight and likely to put a strain on the relationship, or is the person relatively relaxed about money? Whichever role you are playing, both sides should agree the terms before money changes hands. You could fix the terms of the loan from the start, in writing, with each party retaining a copy. It might sound unnecessary to begin with but it ensures there are no disagreements about who said what further down the line, which ultimately leads to resentment and bad blood between friends or relatives. Decide how much will be repaid and when. The timeframe is important and you all need to be on the same page. You might be expecting the money back next month, while your friend is thinking that this is a loose agreement and they sincerely hope to pay you back one day, maybe in another lifetime. Keep records of any repayments, so there are no quibbles about someone claiming to have repaid when they haven’t or demanding more when their money is already in the bank. What happens if you lose your job and can’t pay back the money or, as a lender, if you need the money back? Could you freeze repayments until your friend finds work or as a borrower could you repay faster? Depressing as it may sound, you should also plan for all eventualities, including the death of either the lender or borrower. Agree on the steps you’re both happy to take if any unforeseen problems arise. If the loan is a big one, and it’s a sum with the potential to rip a family apart or see you delete a friend from your contacts list permanently, you should seek professional advice. You could use the services of a solicitor or accountant to make an informal loan more formal. LawDepot.co.uk provides a free draft promissory note, which sets out relevant loan details including the amount, the terms of repayment and any interest to be added on top. You can take this form to be checked over by a solicitor, who can act as a witness when you and the borrower sign. Also beware that if you charge interest on a loan, this is additional income liable for tax and you would have to declare it to HMRC. Peer-to-peer lending lets you borrow and save without relying on banks or building societies. Lenders benefit from higher interest rates than traditional high street savings rates, while borrowers get decent rates and more flexible terms. You can find out about the different lenders and platforms here. Beware that lenders have no guarantees for getting their money back if borrowers don’t pay up. 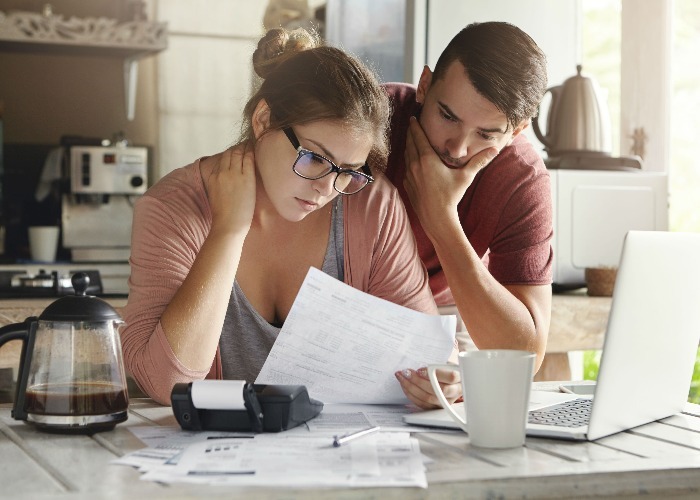 The companies endeavour to reduce risk and credit check customers but if this happens you’re not covered under the Financial Services Compensation Scheme (FSCS) either. Using a not-for-profit credit union can be another, more personal, way to borrow or save money. They are run as co-operatives – used and run by their customers. Despite alternative ways of borrowing becoming more popular, personal loans are still an option, with far lower rates than credit cards. If you want to borrow from a lender on the high street or from a peer-to-peer lender, use our loans comparison tool to find a good deal.